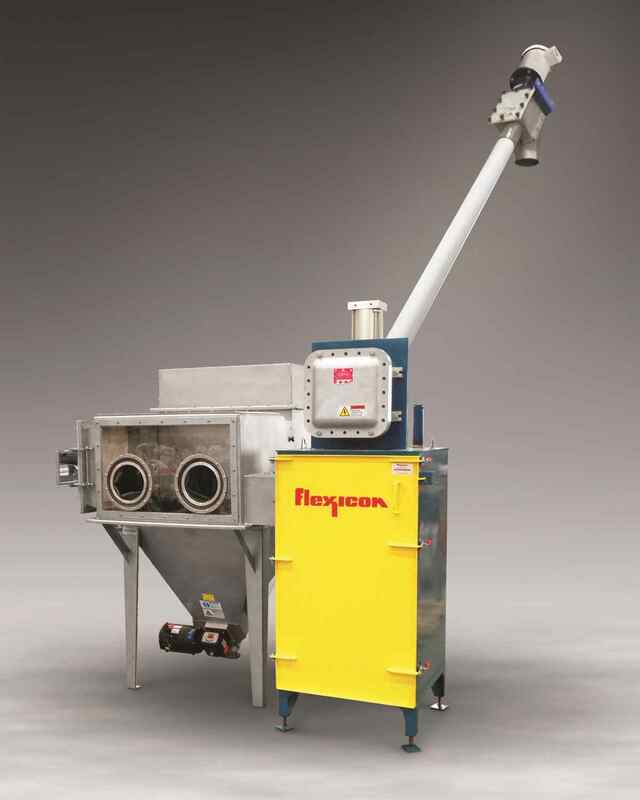 Flexicon Europe, Whitstable, UK, has introduced a new bag dump station with explosion-proof electrical system which contains dust emitted from manual dumping activities, compacts empty bags and conveys the material to a downstream process – if necessary at an elevated level. Bags are transferred through a plastic strip curtain into a hooded glove box and on to a grate, which supports the bag and prevents unintended operator contact with moving parts. The hood is equipped with a polycarbonate skylight that illuminates the interior of the enclosure for improved bag slitting, dumping and disposal. A bag infeed chute through the sidewall of the glove box permits the operator to pass empty bags directly into an integral bag compactor, causing dust generated from compaction as well as dumping activities to be drawn on to the system's two filter cartridges.